Jolly Bimbachi kissed her two sons goodbye as they set out for a month-long trip to Lebanon with their father, back in 2015. The family vacation turned into a nightmare for Bimbachi shortly after the plane flew out of Pearson Airport in Toronto. Within days, she got a call from her husband Ali Ahmad — he had no intention of returning with their children. Omar Ahmad was six years old at the time. His brother, Abdal-Geniy, was four. It’s now been two-and-a-half years since Bimbachi, who grew up in Chatham, Ont.and met her husband during a visit to Lebanon, has seen her children. She is in the midst of a protracted legal battle that has inched along one painstaking day after another. Even though she has since won legal custody of her children from Canadian courts, and has divorced her husband, her fight is not nearly over. International child abduction cases can take years to resolve. Attempts to reach Ahmad for comment were unsuccessful. Officials from Global Affairs Canada, which receives about 100 new reports of international child abductions a year, confirmed they are working with Bimbachi, but would not speak to details of her file. The bulk of Global Affairs cases are reported in Ontario, Quebec and B.C., according to spokesperson Brianne Maxwell, who said getting a child returned to their parents can vary in difficulty depending on the country. These types of cases can take years to complete, with legal costs often escalating above $100,000, according to James Marks, a Toronto based lawyer who specializes in international child abduction. Bimbachi nearly collapsed when her then husband told her over the phone he was keeping her boys. The devastated mother frantically went to a filing cabinet where she kept her children’s birth certificates and other identification. They were gone. She would soon realize her husband cleaned out their joint bank account as well. Taking her fight to the courts was a financial disaster for Bimbachi, who teaches part time at St. Clair College and who also works at a craft store in Chatham. 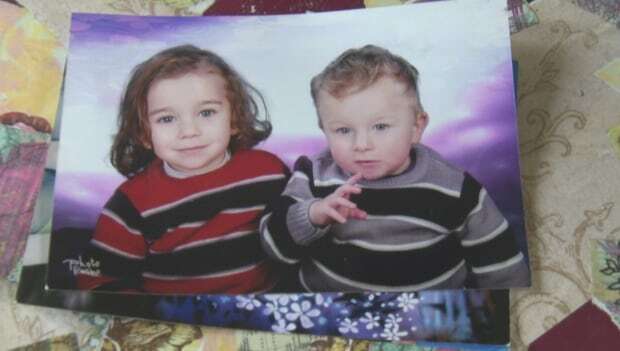 She worked with legal aid to gain custody of her two sons in Canada, but that decision carries little weight in Lebanon, where the children remain. In March, she was finally able to divorce her husband. She also has another lawyer in Lebanon, who’s been working the system overseas, trying to get a date for a custody hearing. Having her children in Lebanon is another significant challenge. The country is not part of the 1980 Hague Convention, which is a treaty agreed upon by more than 100 countries for the speedy return of a child who is internationally abducted. Many of the countries have similar parental laws that support having the children live in their home state. In Bimbachi’s case, her two boys are Canadian citizens. Bimbachi knows the risks of going to Lebanon to regain custody of her children, but she plans to go there in the coming months, just as soon as she can get a hearing before the courts.